Orange County, FL. The men said they went to a bonfire party the night before, then went on an illegal, out-of-season 3 a.m. joy ride and deer hunt. Then, they all passed out. When they woke up deputies found pot in their car and more than one reason to send two of the men to jail. 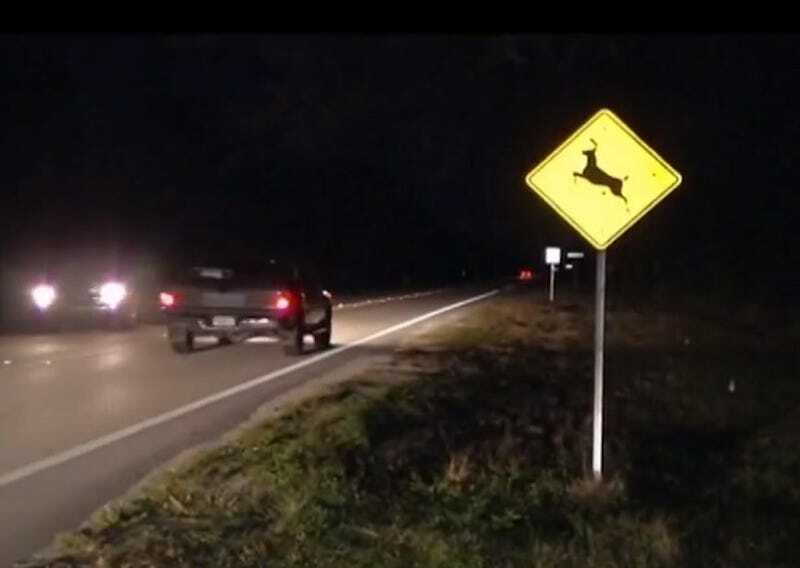 It sounds like the car got stuck driving over a fifth deer as they were trying to leave. Once the car was high-sided on the deer, they gave up and passed out.